It was one of those early days in July when we were lucky enough to get a break from the rain, in Burnaby. My couple were on vacation in the United States and coming up to the Vancouver area, for the first time! They contacted me to renew their Wedding Vows and hoped that I could suggest a great place to hold the ceremony. Because this was their first visit to our corner of the world, I wanted to suggest a ceremonial place where I could also showcase the beautiful cities of Vancouver and Burnaby. I chose Burnaby Mountain Park, on Burnaby Mountain, with its 360◦, spectacular view. Then… I held my breath and prayed that the weather would cooperate so that we would be comfortable outdoors and have some good photo opportunities. Through our email correspondence, we were able to make all the special arrangements for their ceremony. We decided that because my couple was on vacation, and they didn’t bring their dress-up clothes, we would all wear blue jeans and sneakers. 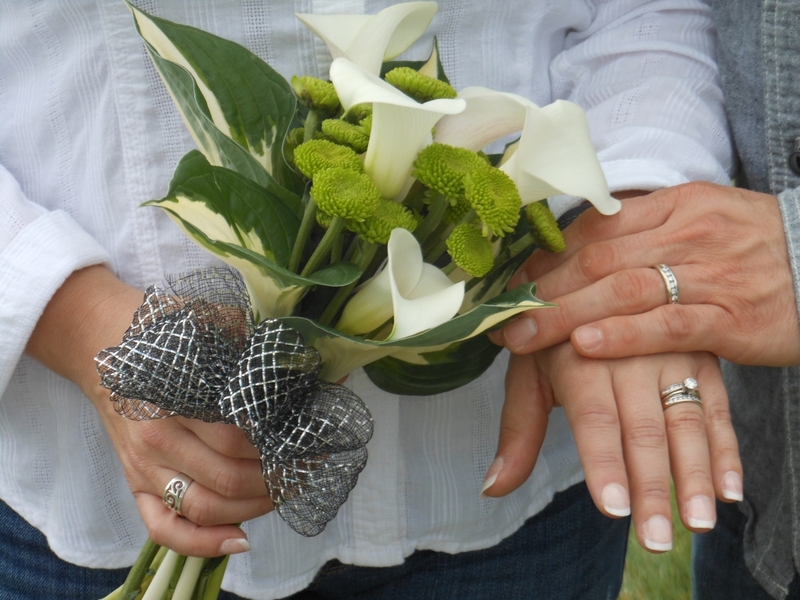 I arranged to put together some flowers for the bride that included some hosta leaves, fresh from my friend’s garden. They shared some important information about their background as a couple. I learned that they had been married for 15 years and that they renew their wedding vows every 5 years. 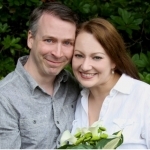 I created and personalize their vows, encompassing the important information about them, as a couple. Upon meeting them, I saw how much their love is still alive between them. They were arm-in-arm or hand-in-hand the whole time we were together. Just a sweet, romantic couple who wanted to renew their vows in a special place, for themselves, and with each other. The ceremony was lovely and a tear was shed by all three of us as we concluded, and they were pronounced Husband and Wife, once more. Jayne was a fabulous officiant. We renew our vows every 5 years. We found her online and she was more than accommodating to our last minute special requests. We highly recommend her caring services. 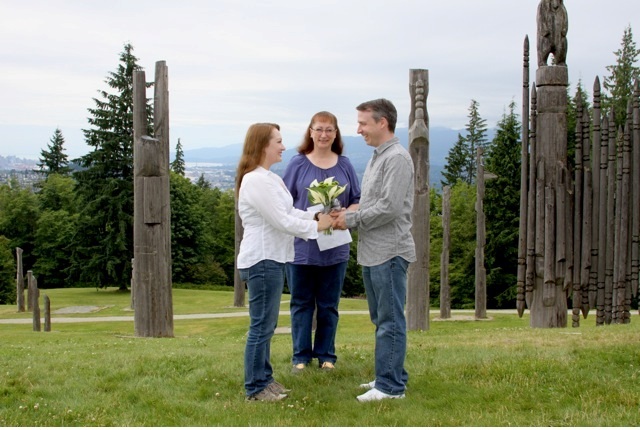 ~ Lori D.
I was honoured to have been chosen by this couple to officiate at their ceremony. I am grateful for the opportunity to follow my passion in this way. It’s such a privilege to do this work. Ready to Create your Ceremony? 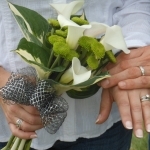 If you are ready to book your special day, or have questions, please contact me.